The National Heirloom Exposition will be held on September 10-12 2019, at the Sonoma County Fairgrounds in Santa Rosa California. This annual Northern California gathering is a seedbed event for a community of gardeners, chefs, activists and artisans involved in the heritage food movement. Some of the most innovative minds on regenerative agriculture will be in attendance, including Dr. Vandana Shiva, who will both speak and lead roundtable discussions at this annual celebration of biodiversity. 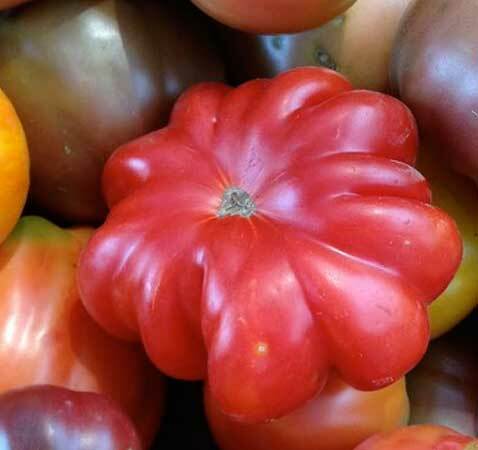 On display will be thousands of heirloom tomatoes, peppers, eggplants, squashes, garlic, tree-fruits and more—all clearly identified and labeled. Last year’s festival featured the worlds largest squash exhibit, a spectacular, 21 foot tall pyramid of squash of all shapes, sizes and hues.